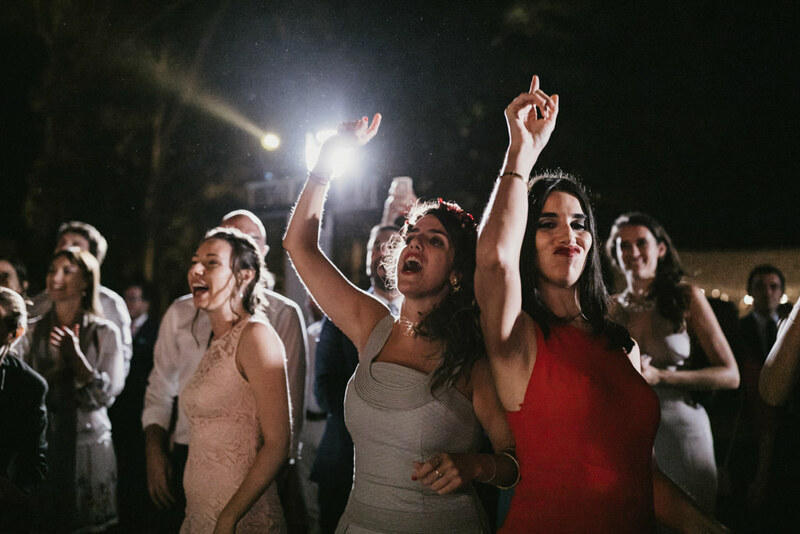 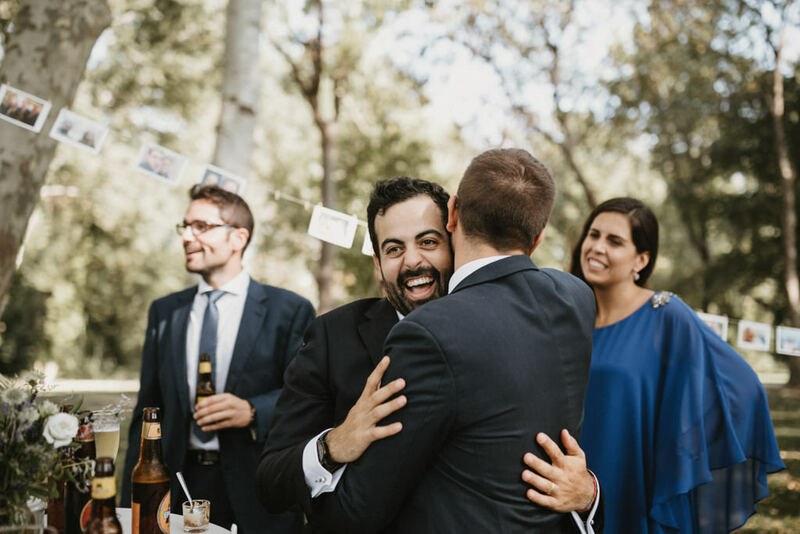 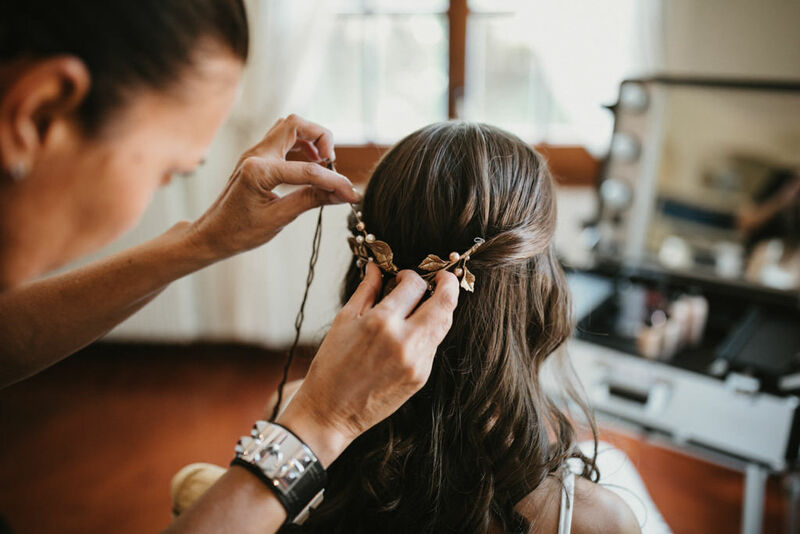 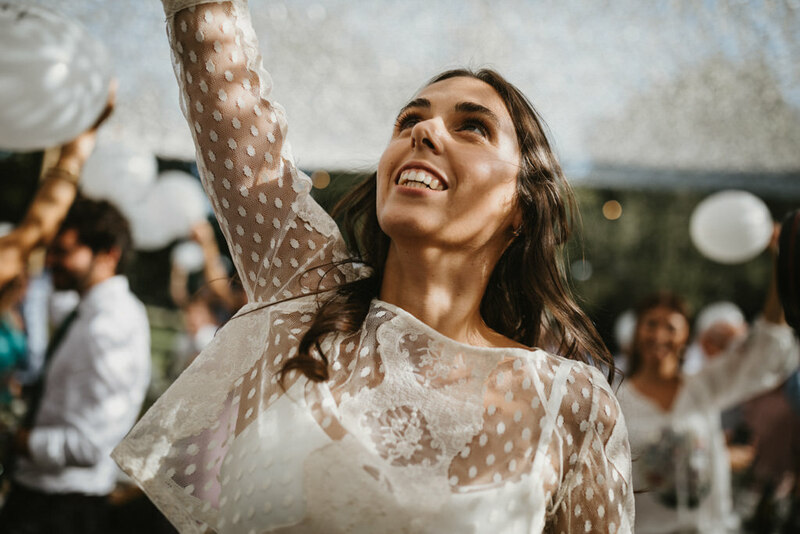 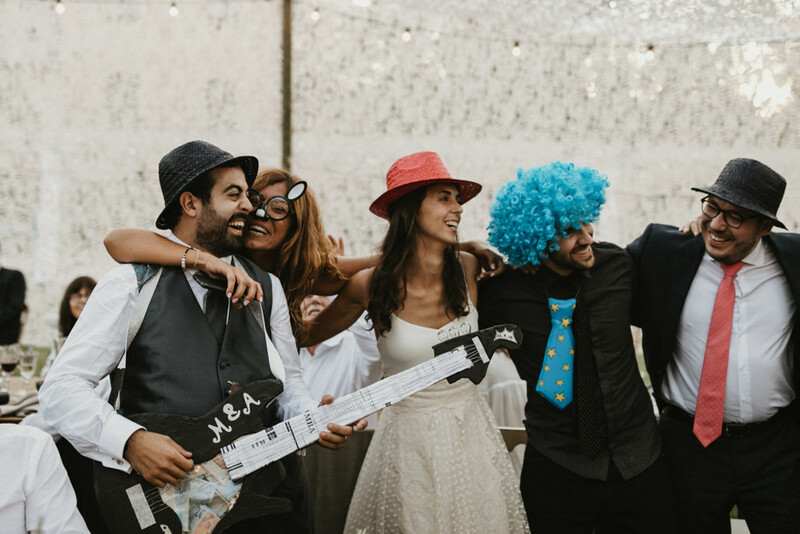 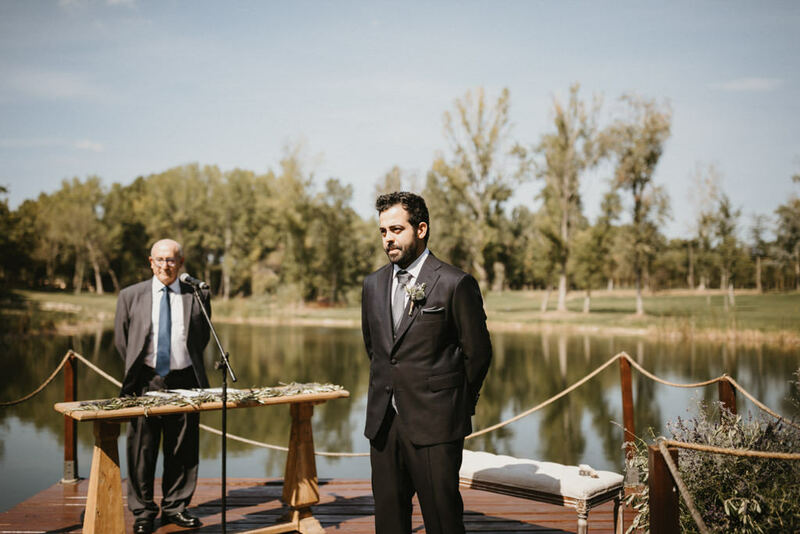 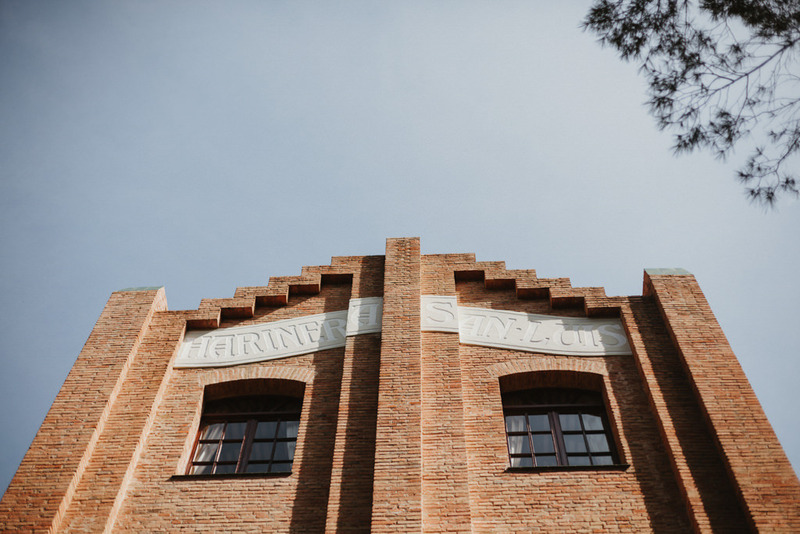 I bring you a different wedding in Girona with a spectacular ending. 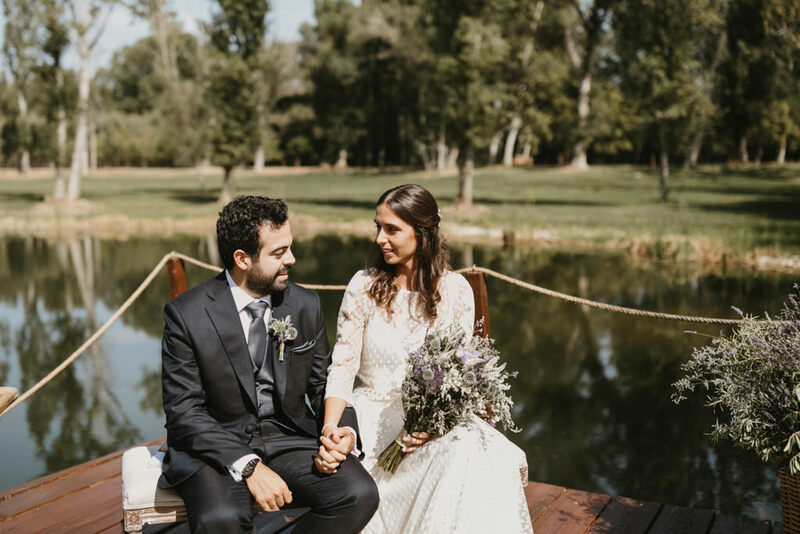 Ari and Miquel are the protagonists: a young and fun couple who likes to enjoy to the fullest and to make every occasion unique. 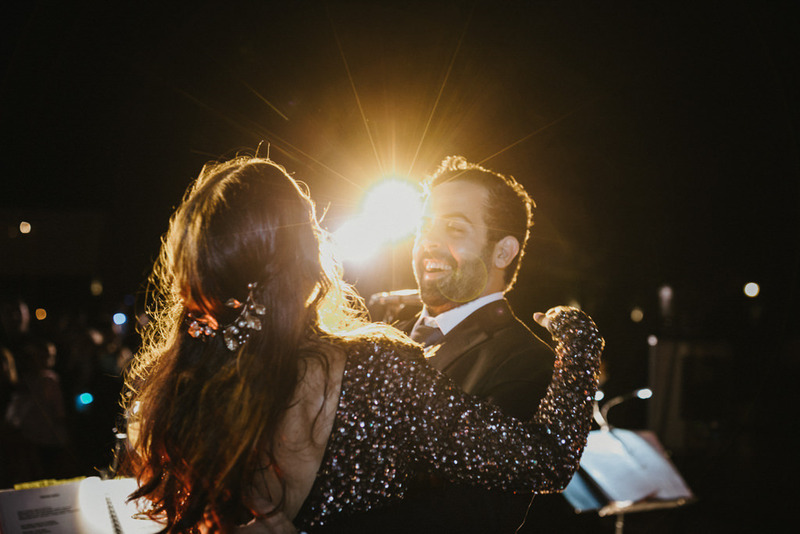 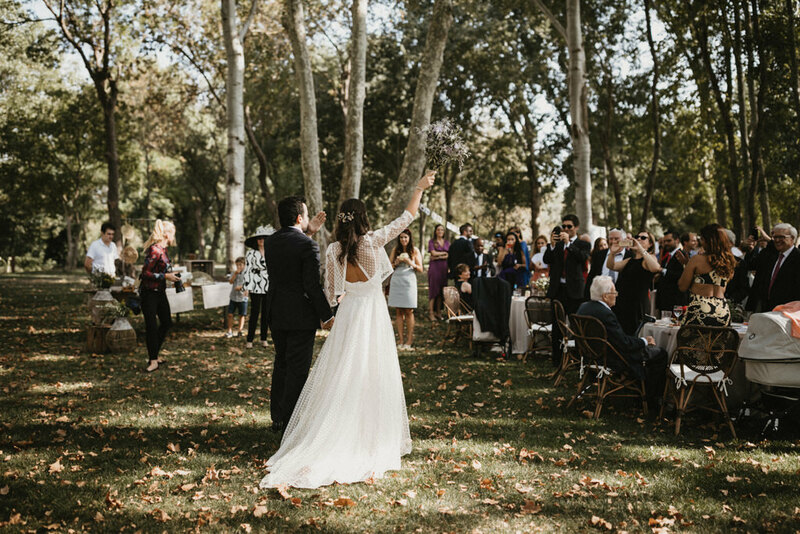 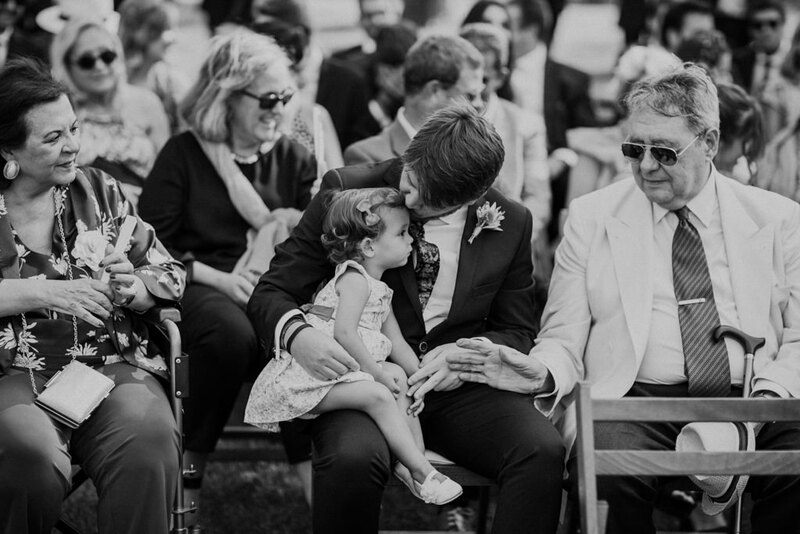 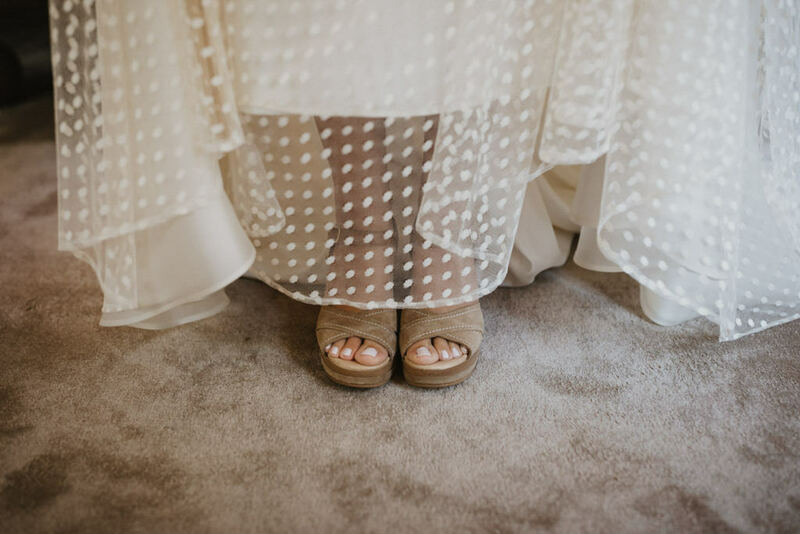 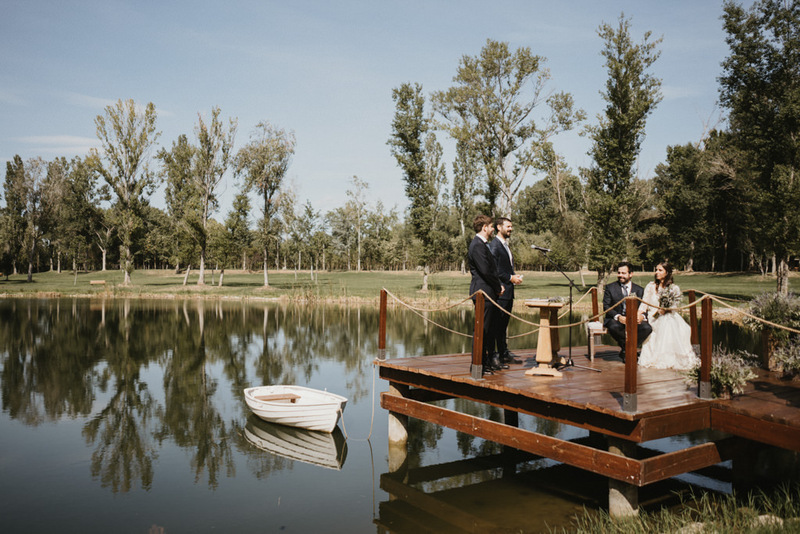 Their big day could not be less, so they decided to celebrate a different wedding in an idyllic setting with all its people. 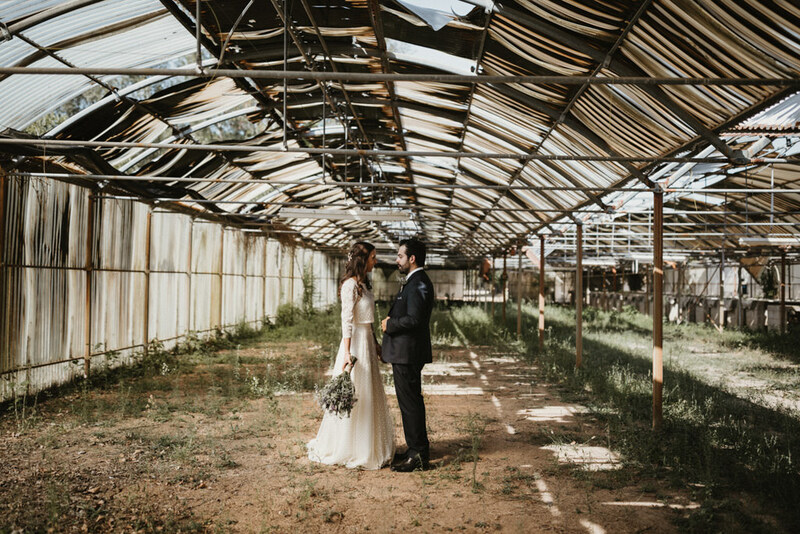 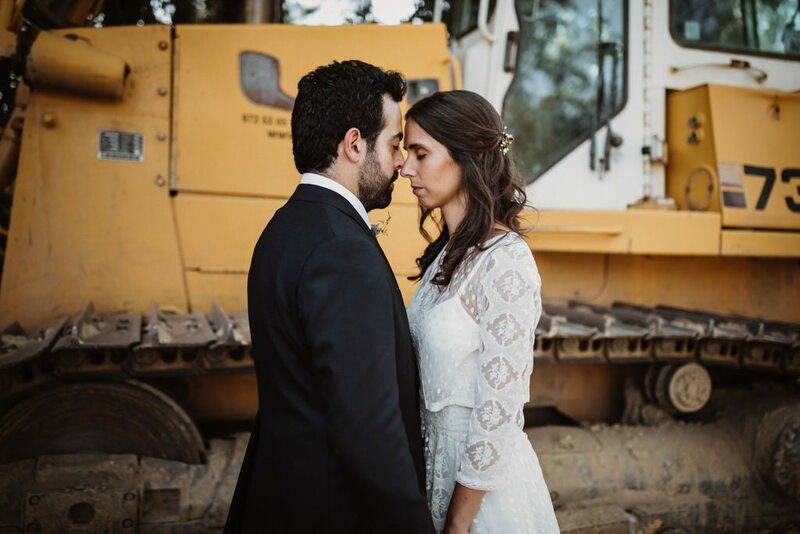 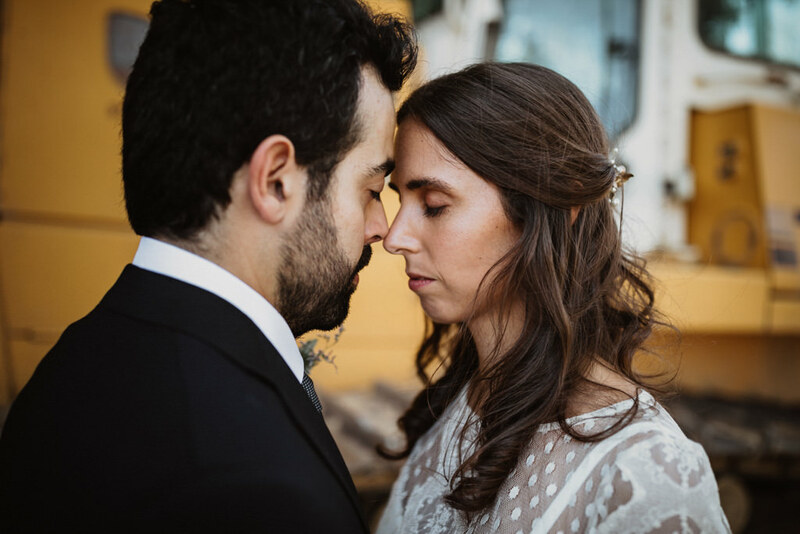 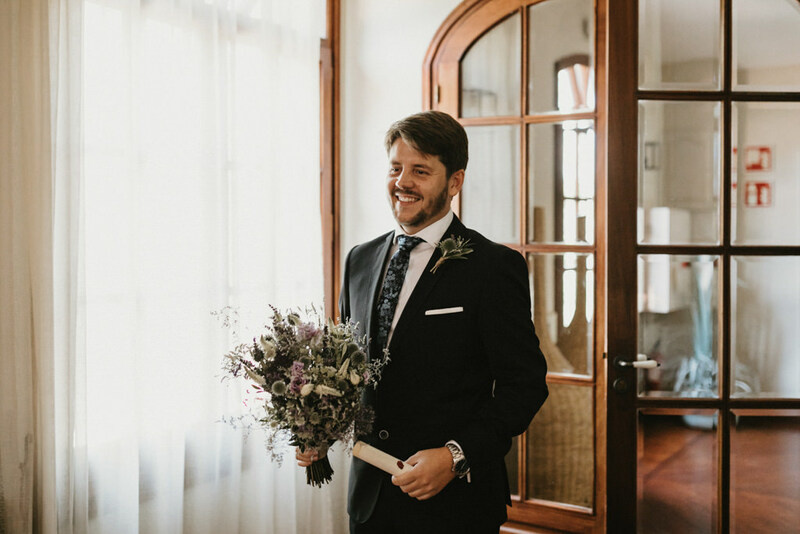 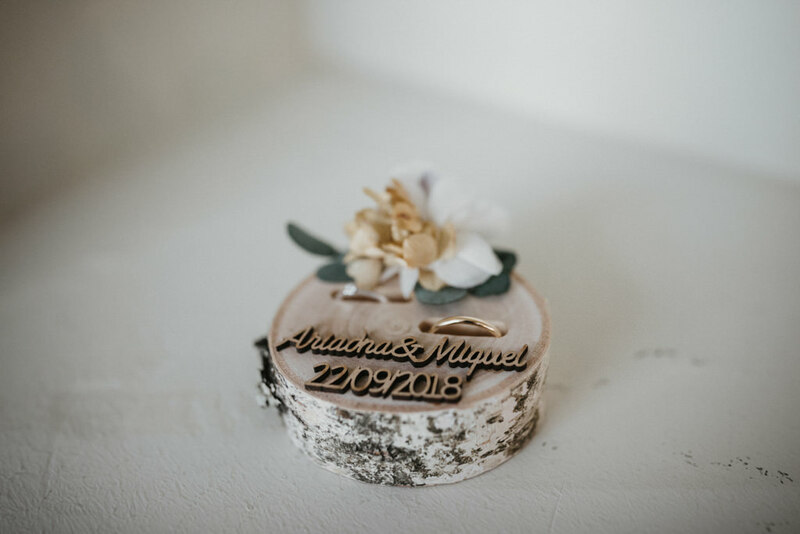 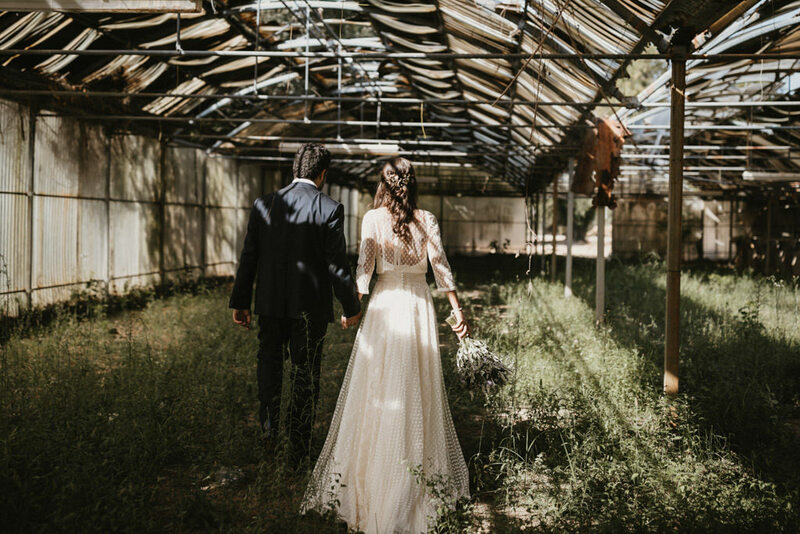 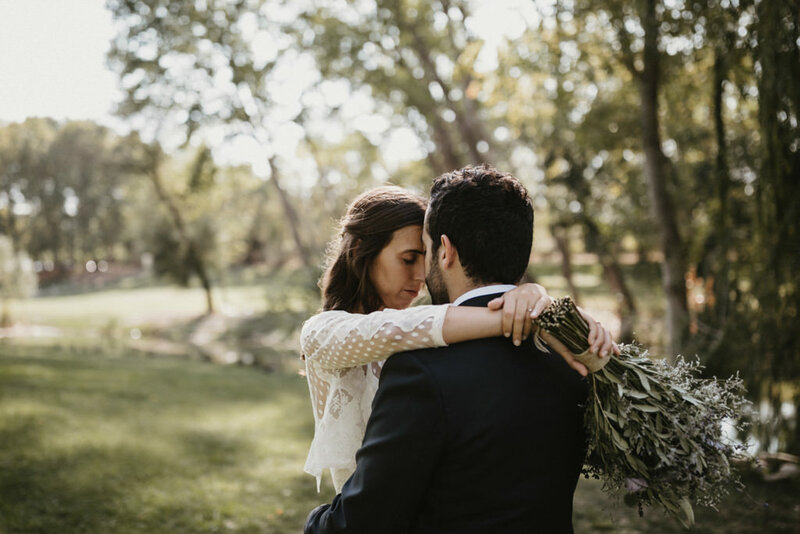 The couple wanted to capture the essence of each moment in a natural way, so they looked for a lifestyle wedding photographer in Girona. 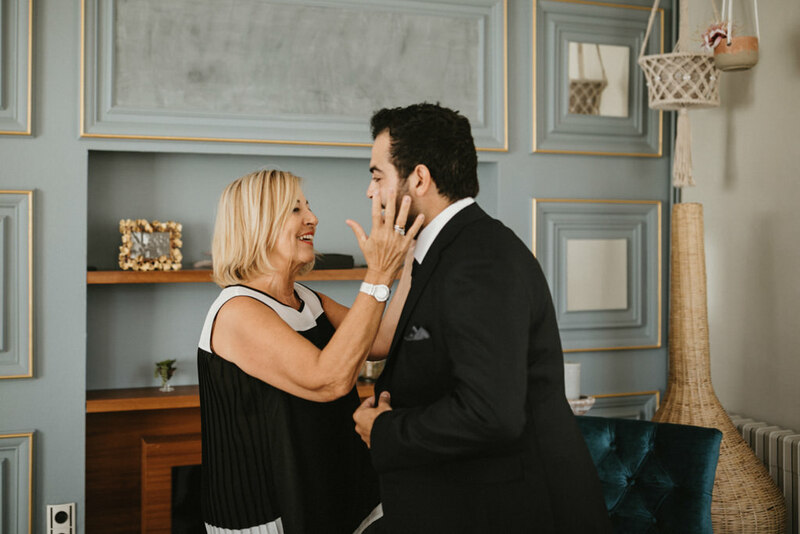 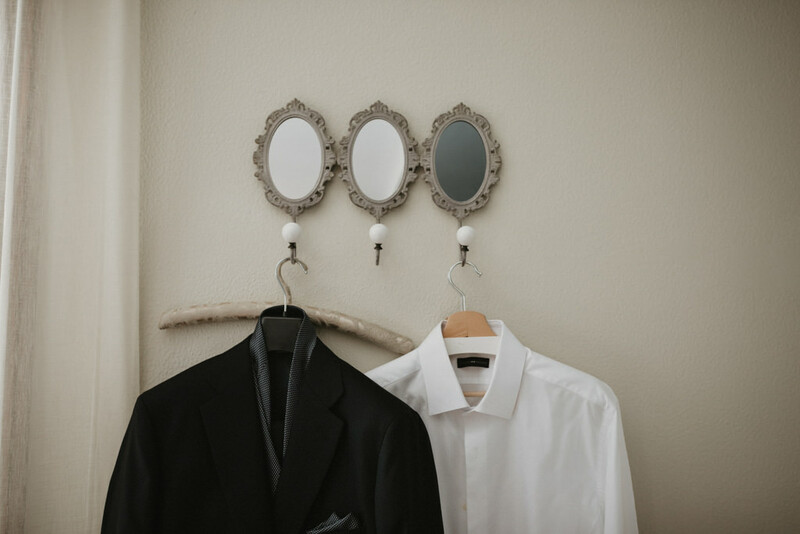 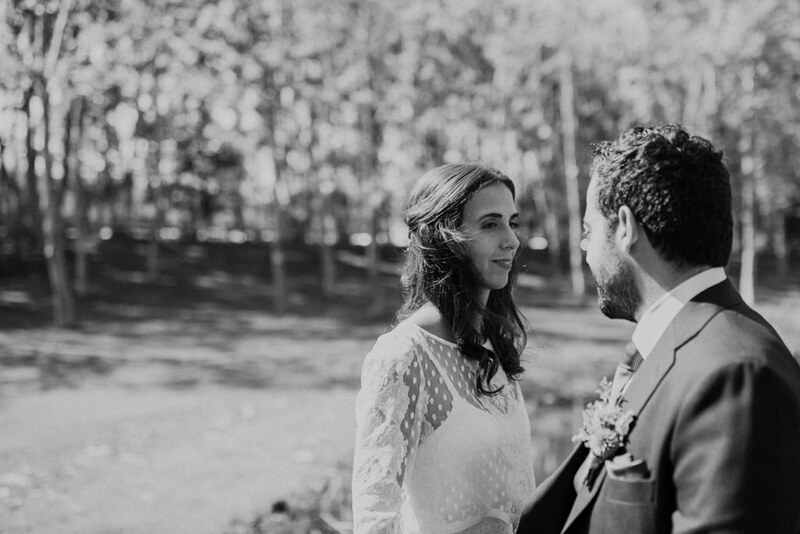 As soon as we met, it was clear to me that their wedding photographs would be different, fun and stylish. 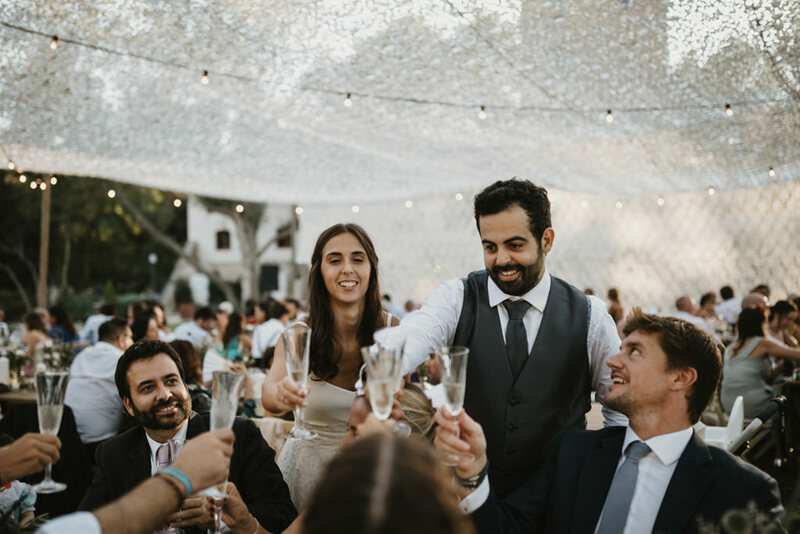 And indeed it was in the pre-wedding shooting, which we did it in Port Lligat and Cadaquès a few months before the wedding. 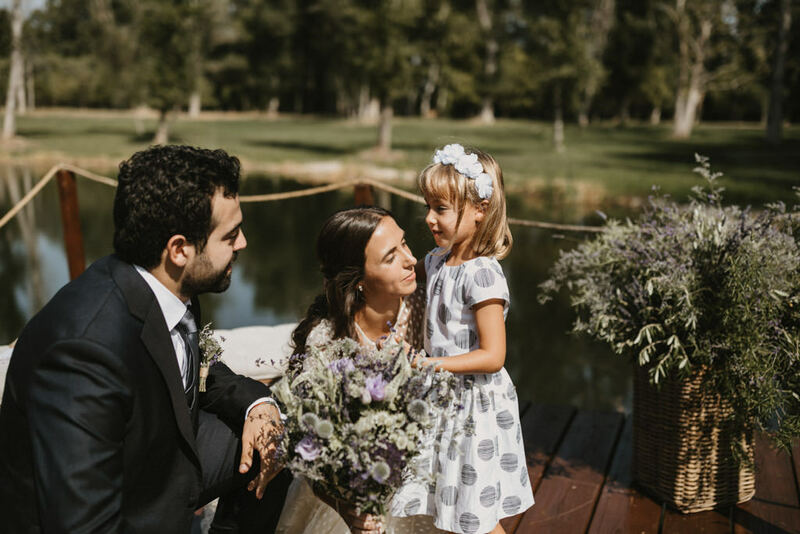 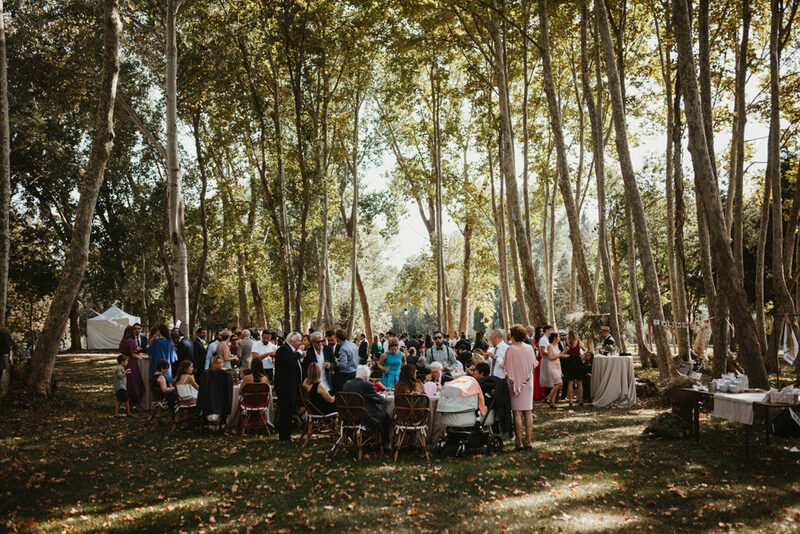 The marriage was celebrated on a sunny September day in La Farinera de Sant Lluís. 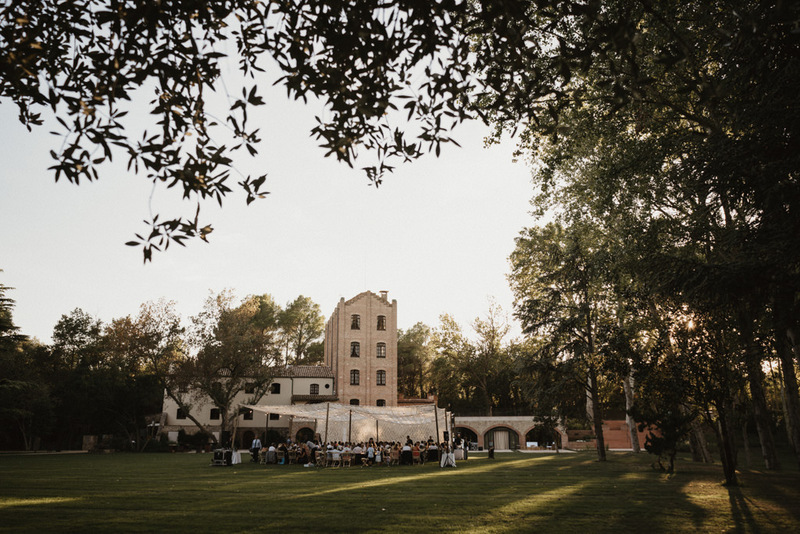 It’s an emblematic modernist estate located in the heart of the Alt Empordà, near Girona and the French border. 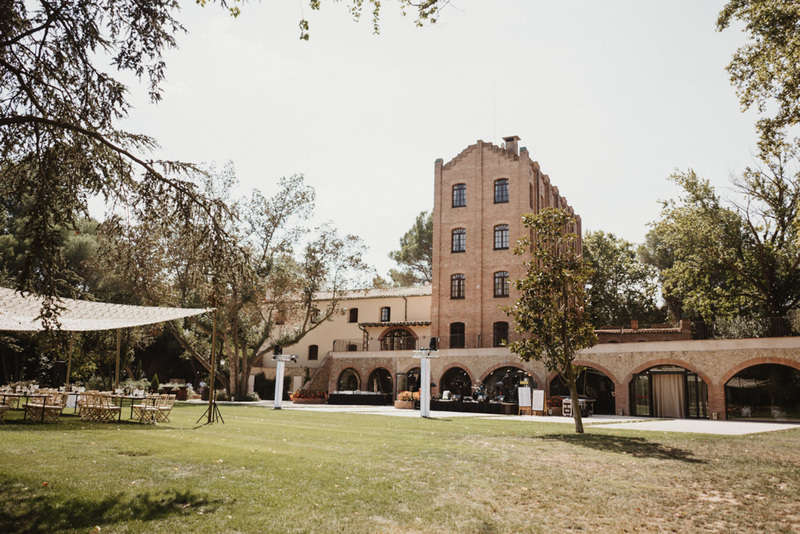 On the day of the wedding both bride and groom were prepared in the main rooms of the building. 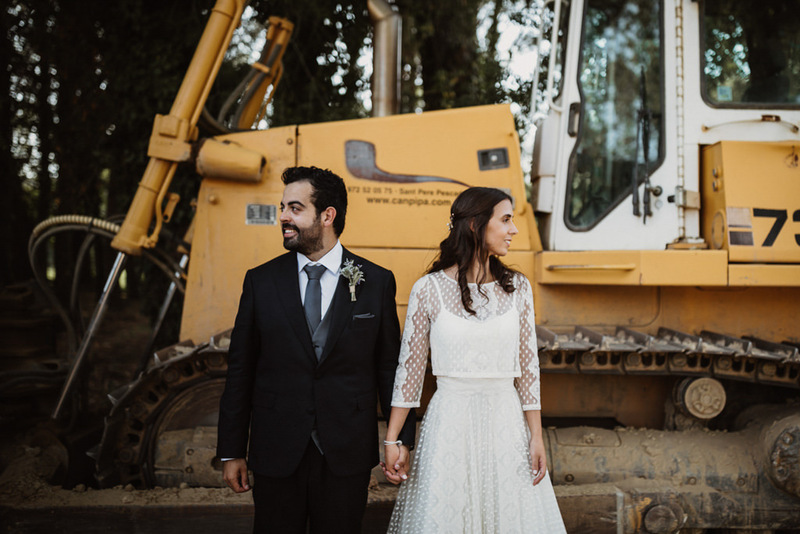 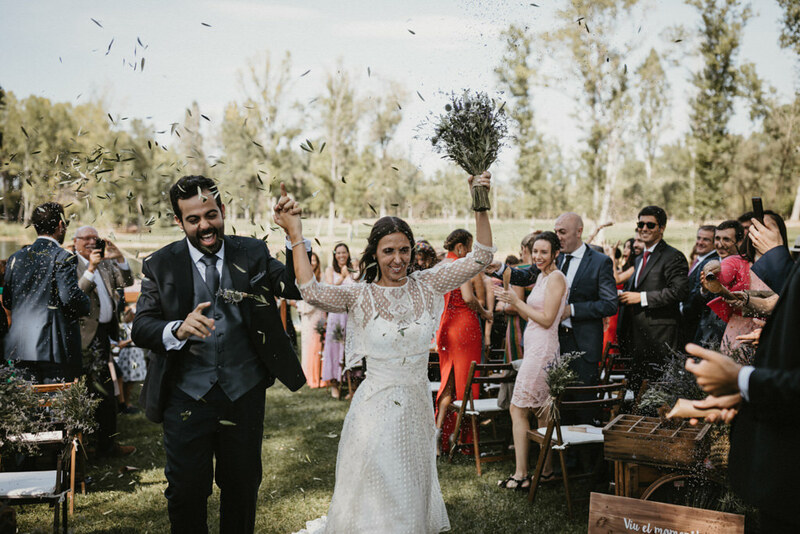 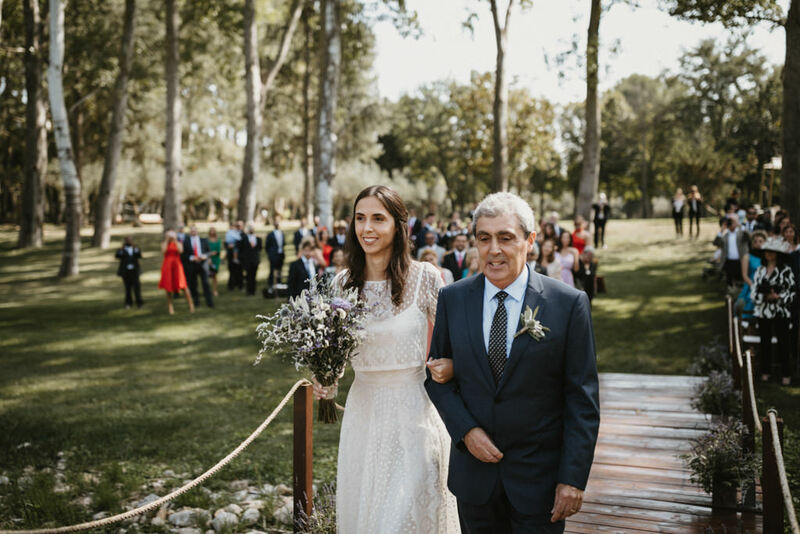 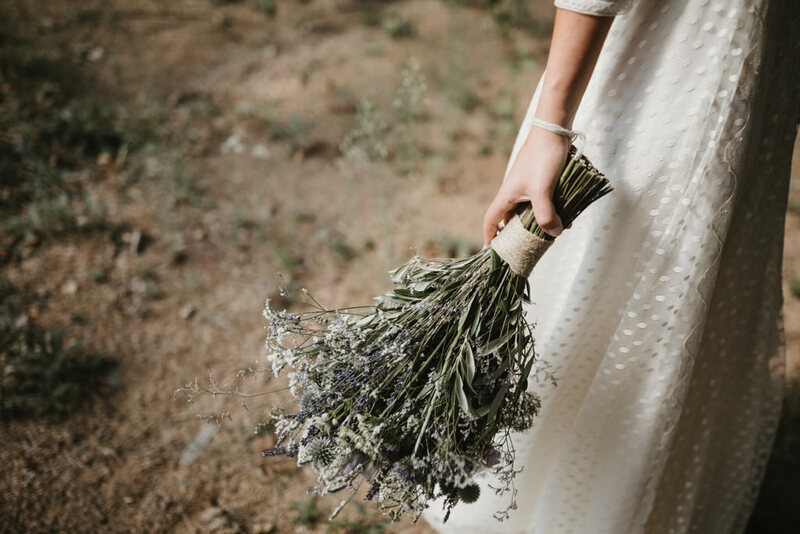 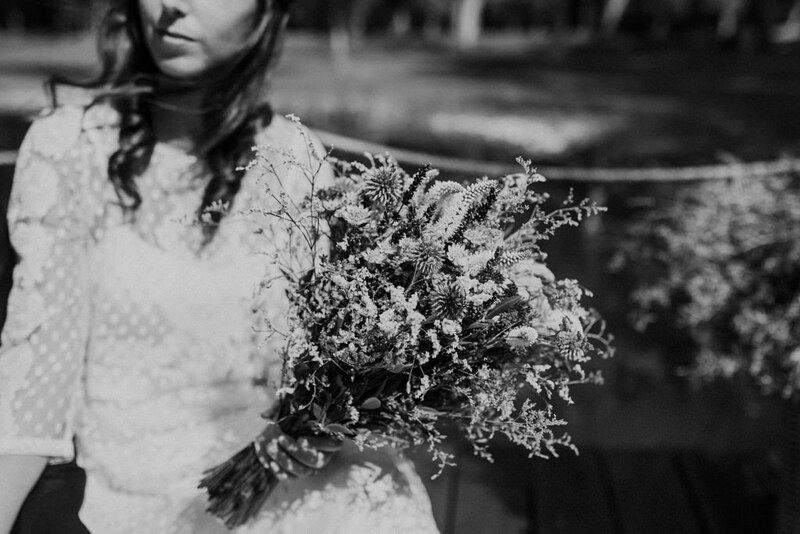 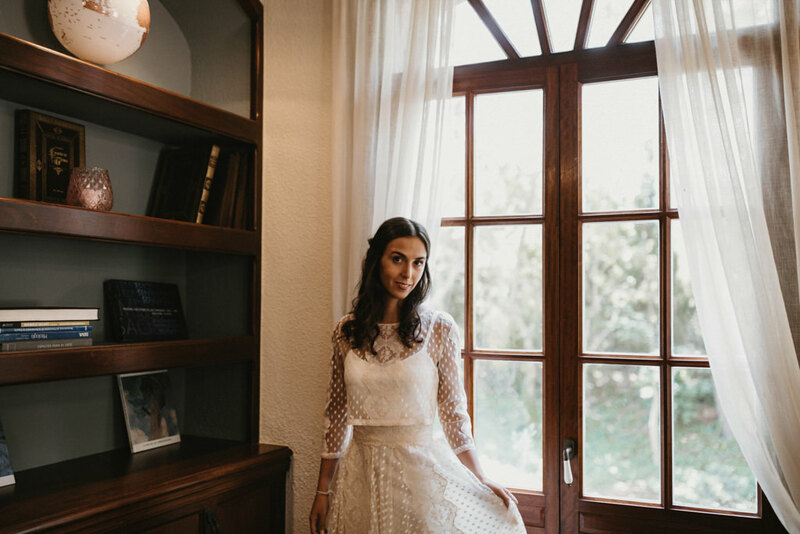 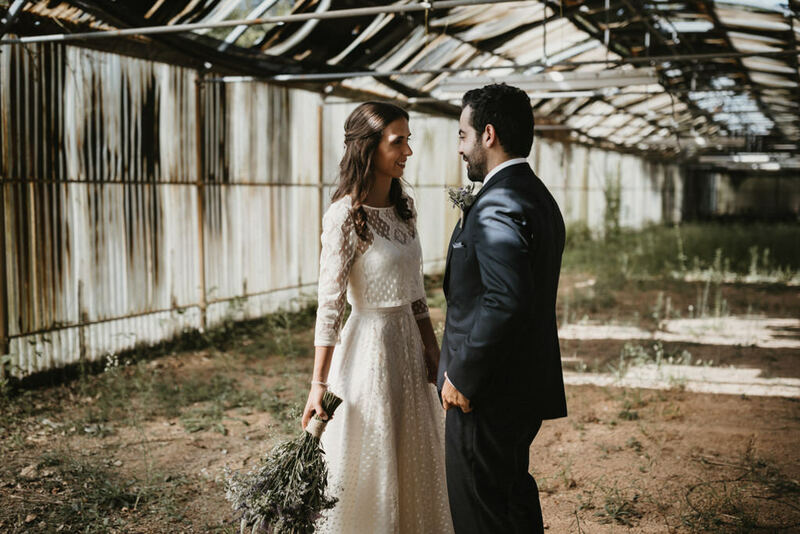 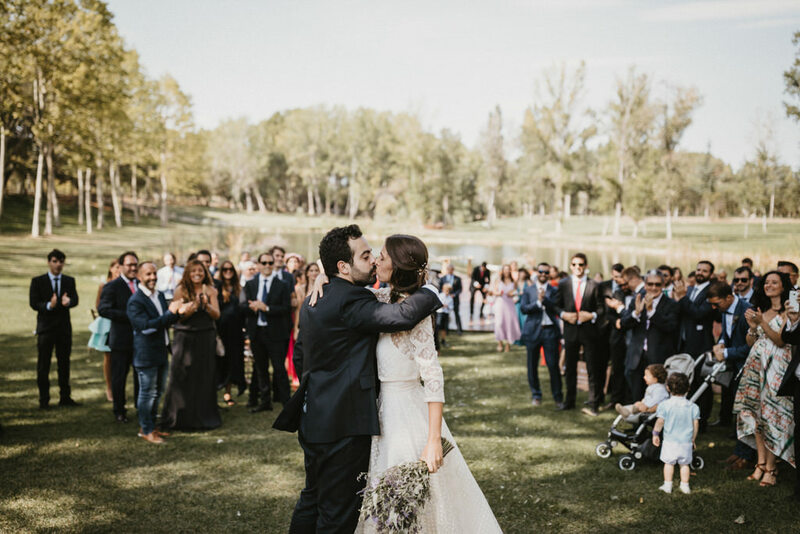 Ari wore a delicate two-piece wedding dress by Jordi Anguera, and combined it with a bouquet of Phlox flowers. 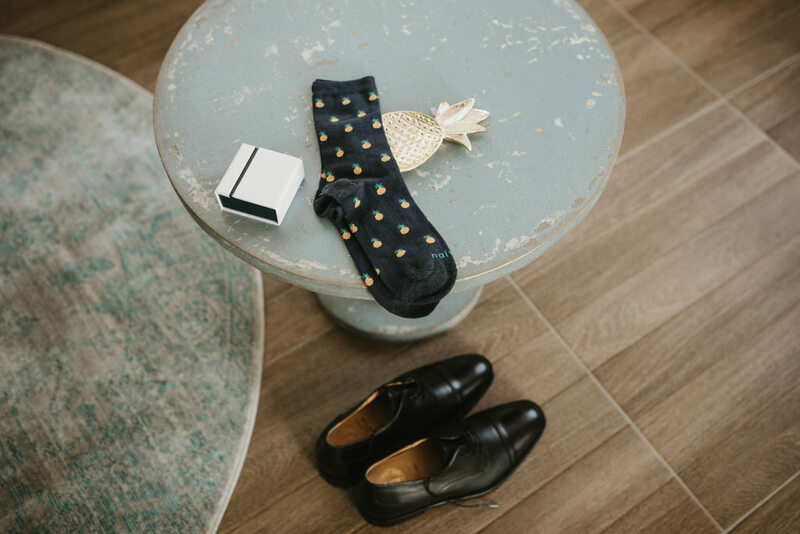 Miquel, on the other hand, chose a Toni Barceló wedding suit with some daring socks with tropical pineapples. 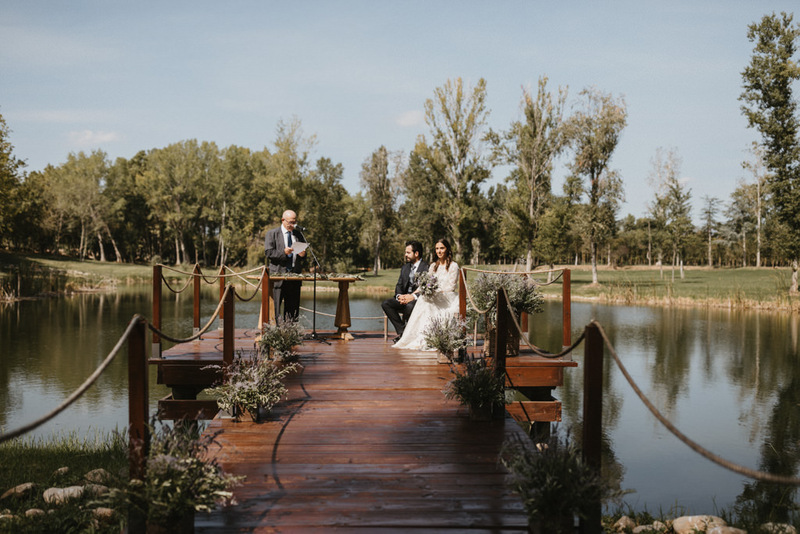 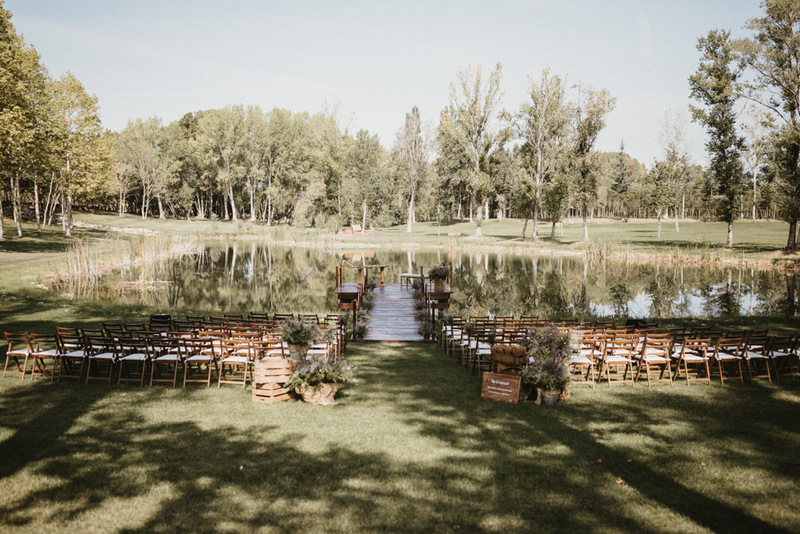 The wedding ceremony at the wharf of the farm was original and unforgettable. 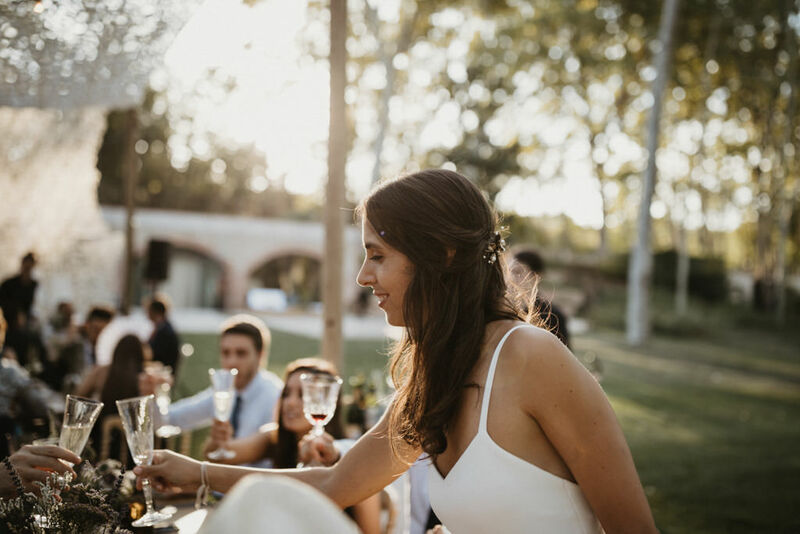 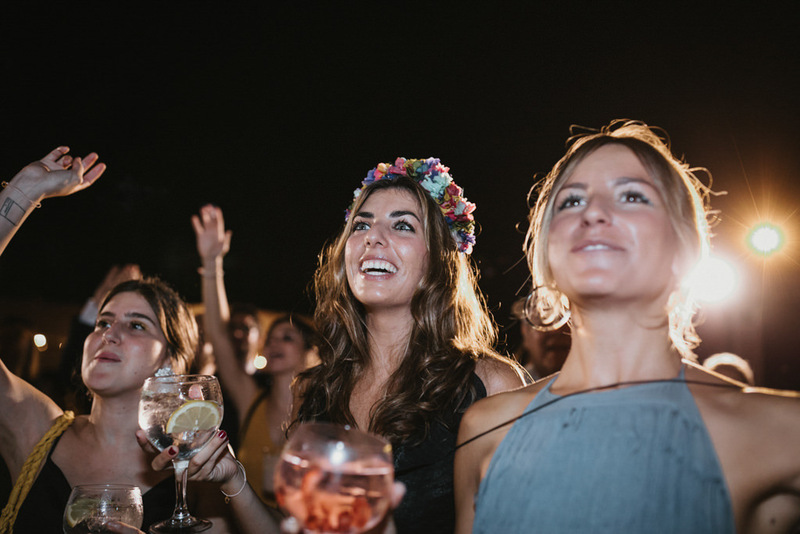 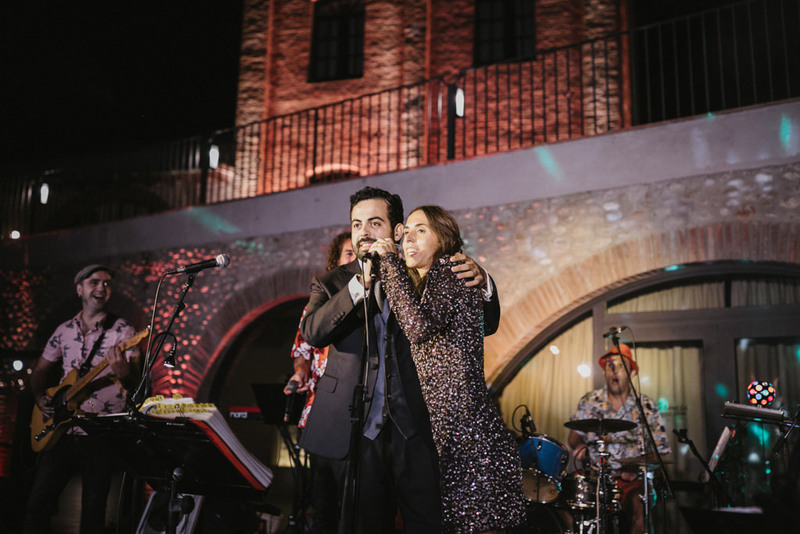 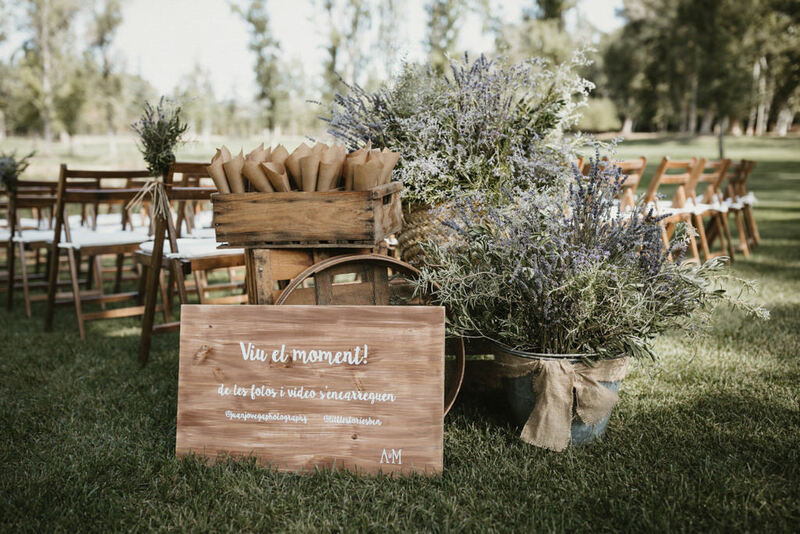 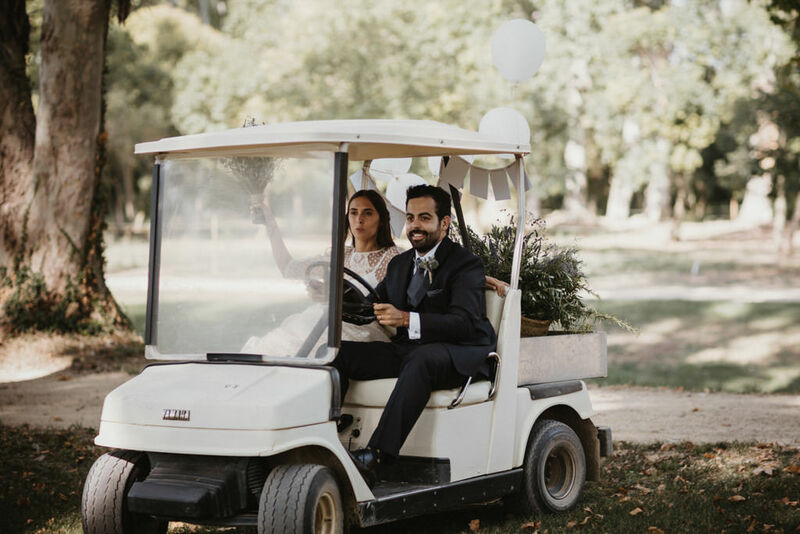 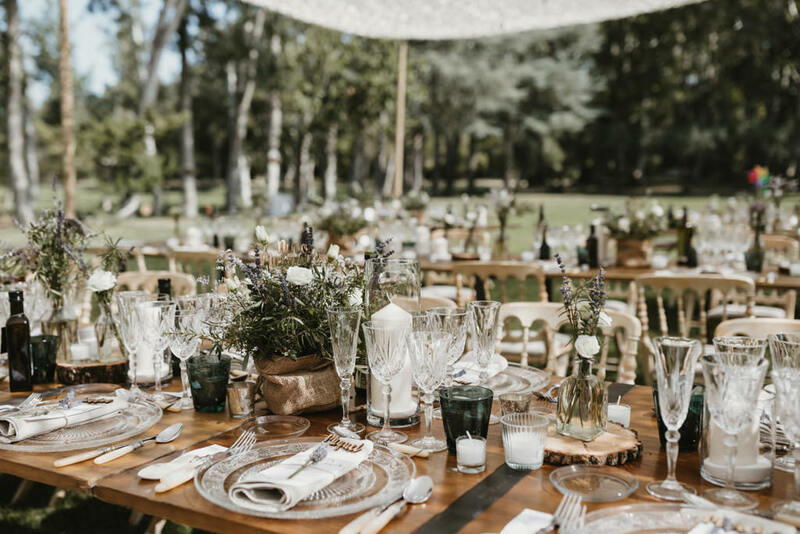 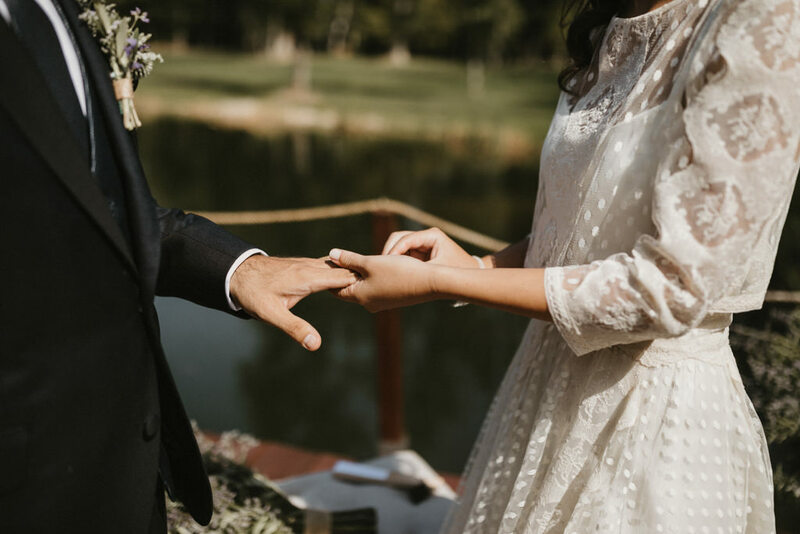 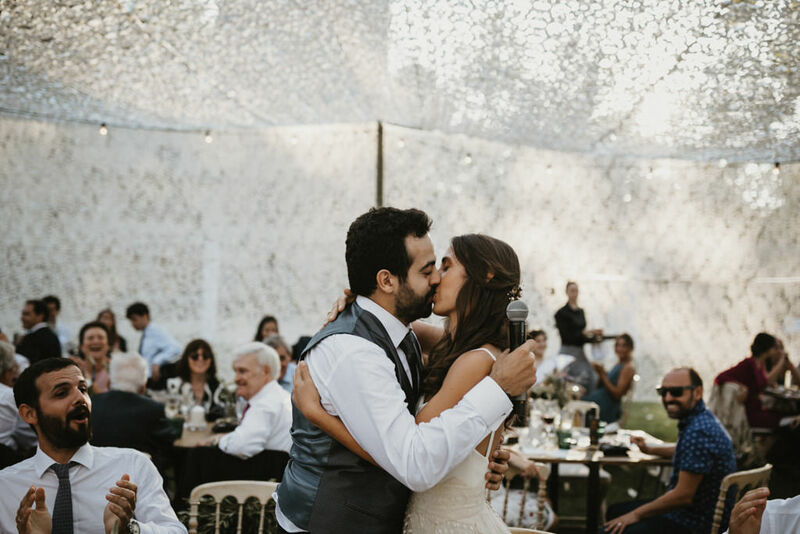 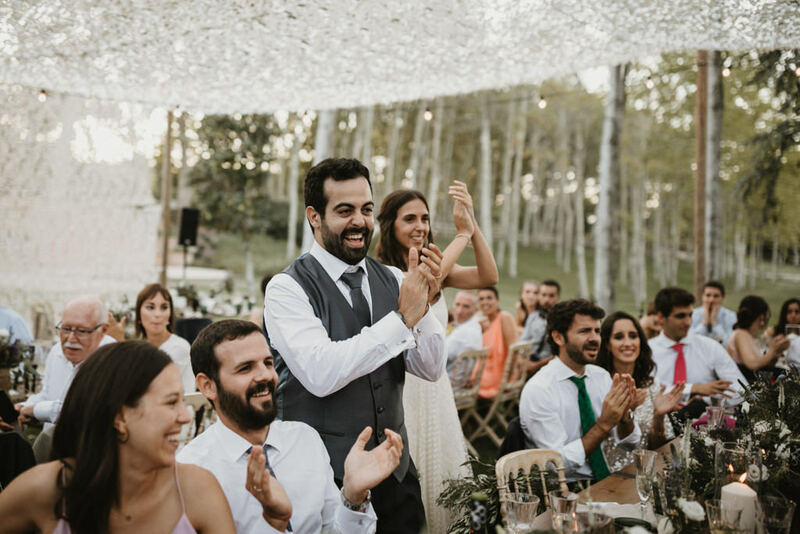 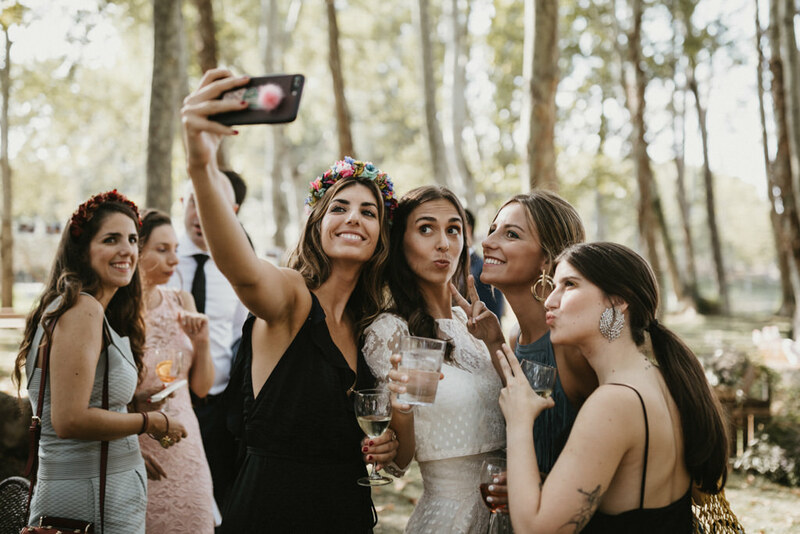 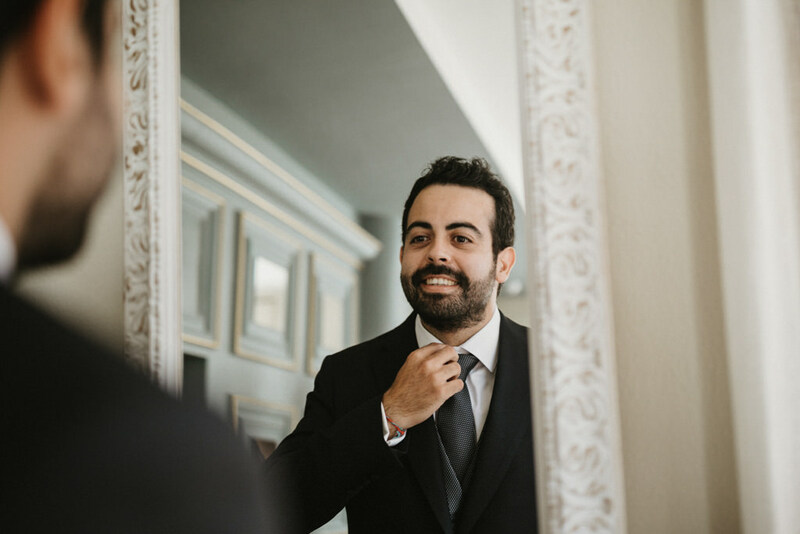 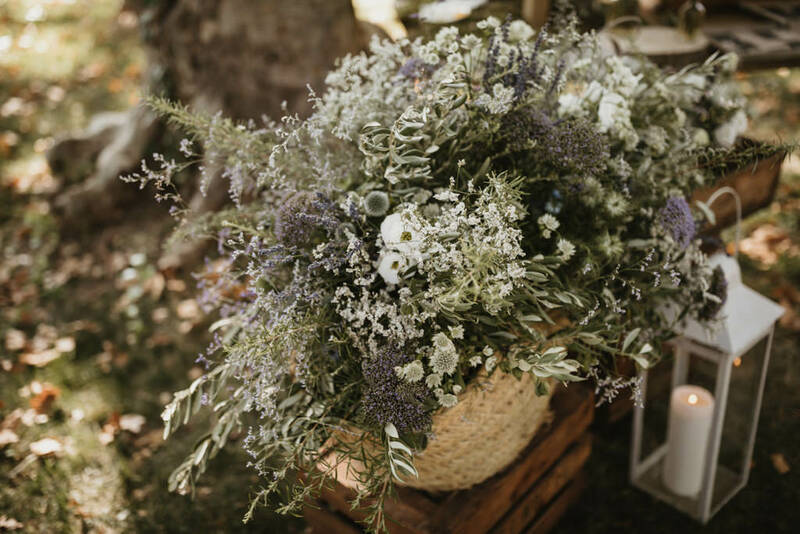 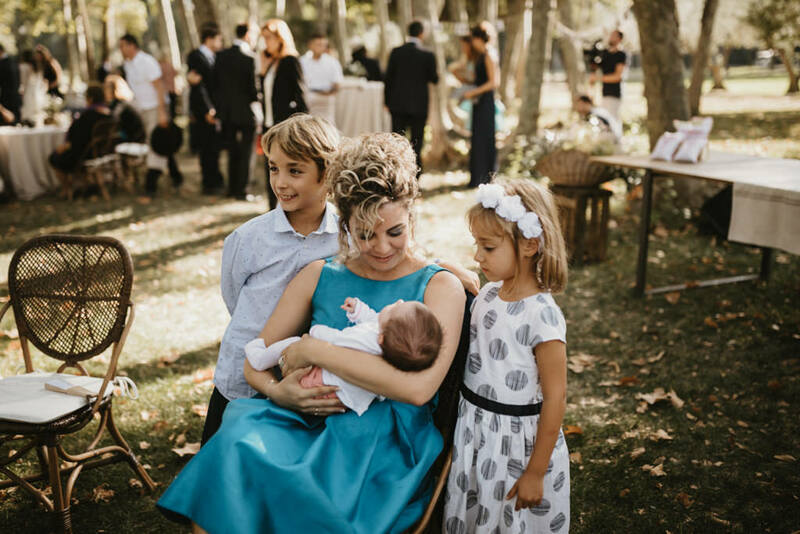 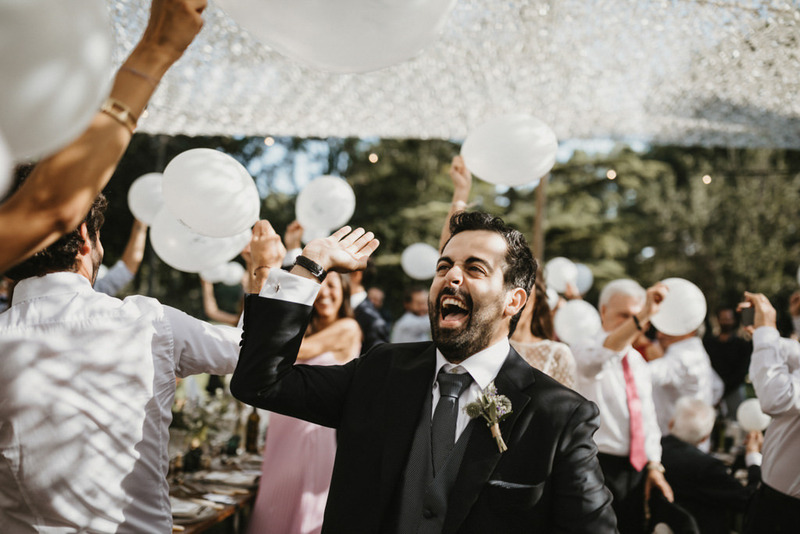 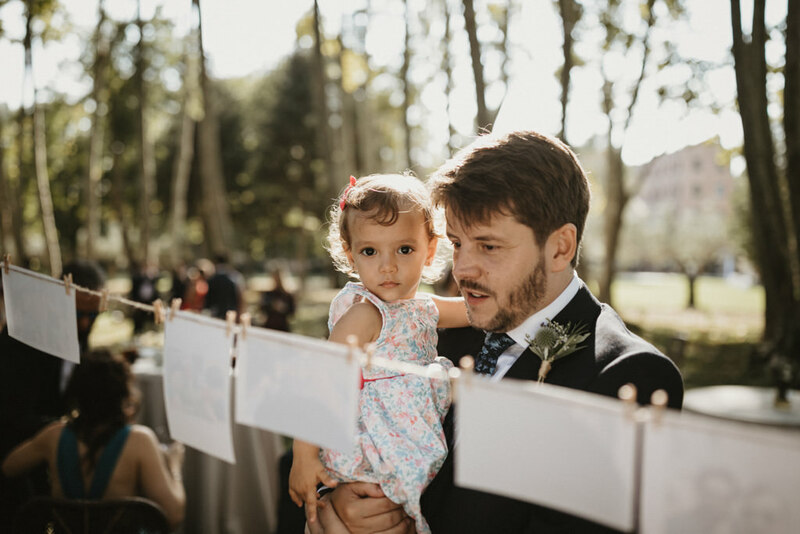 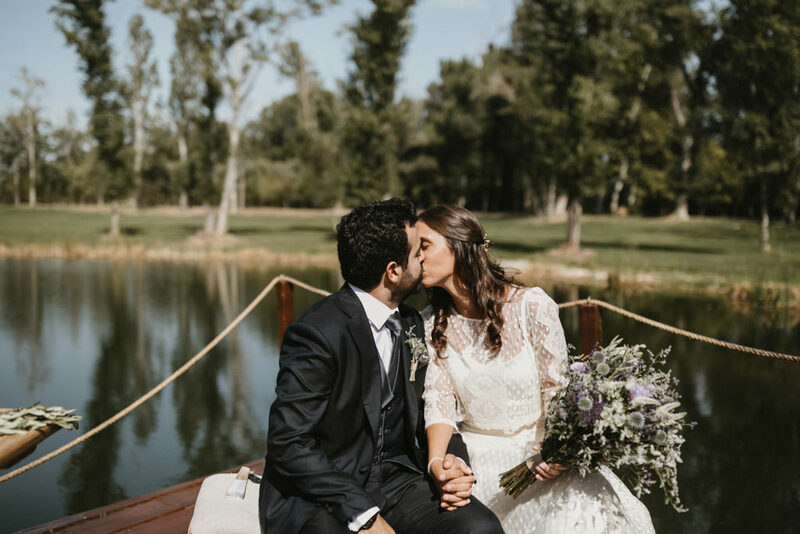 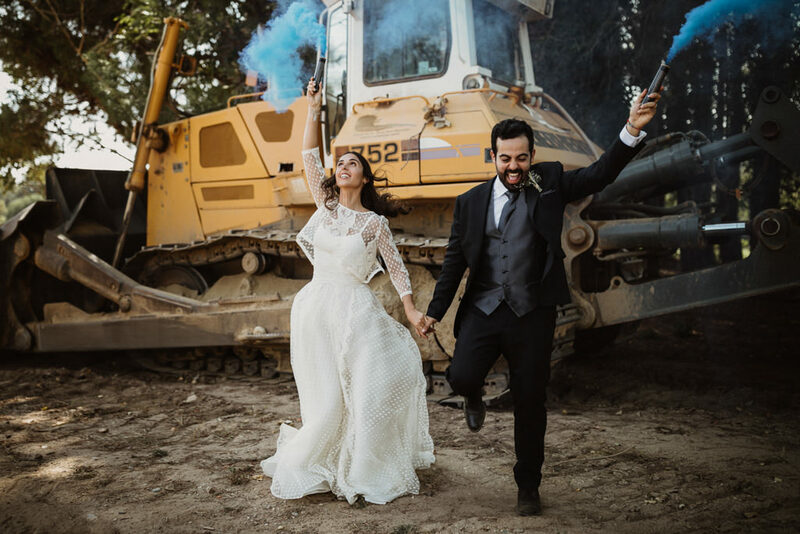 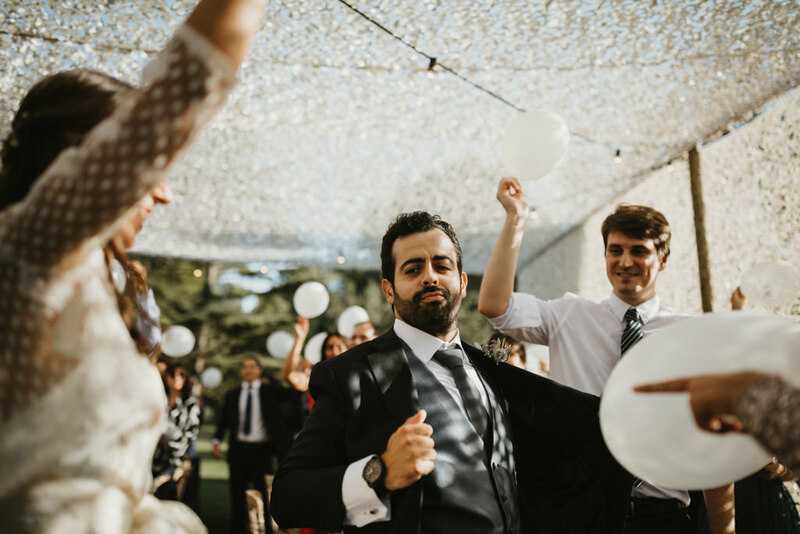 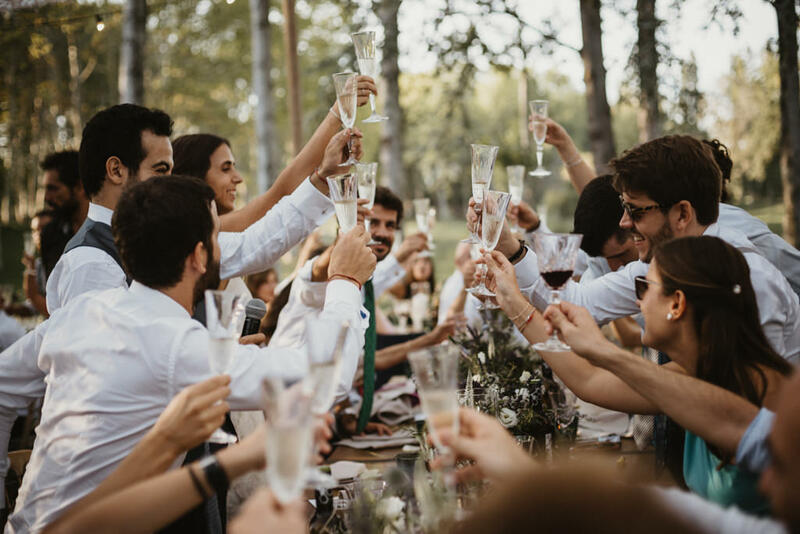 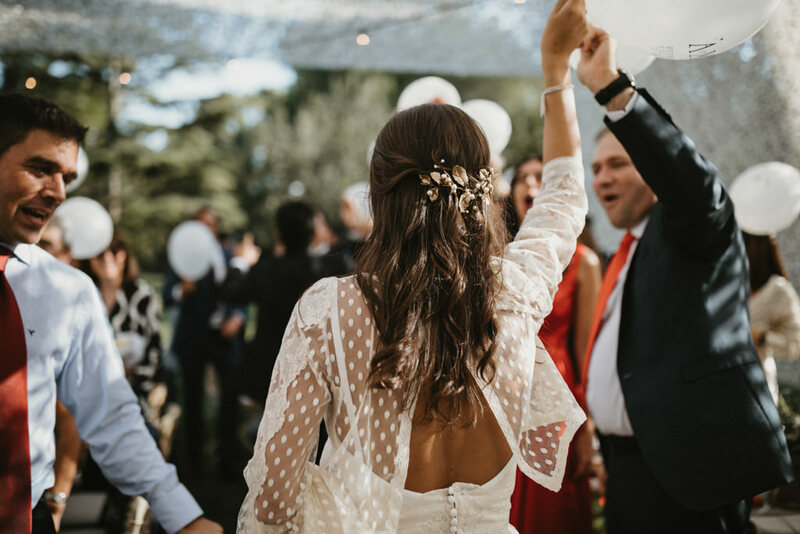 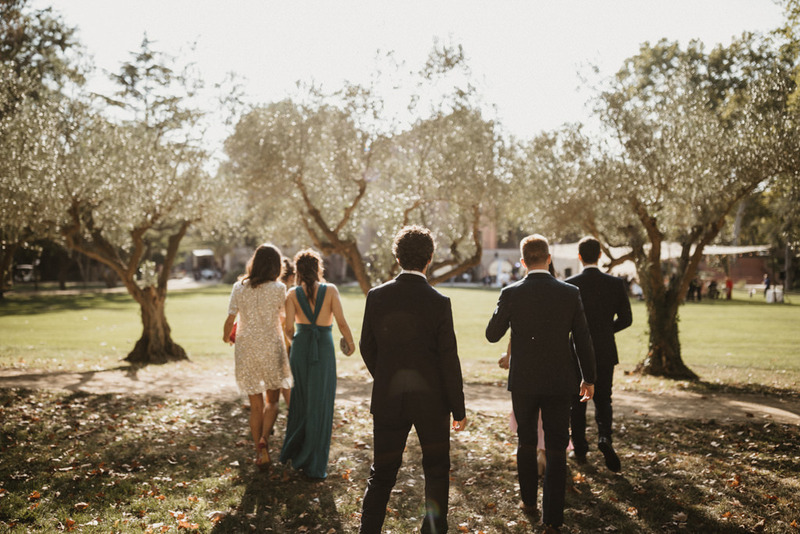 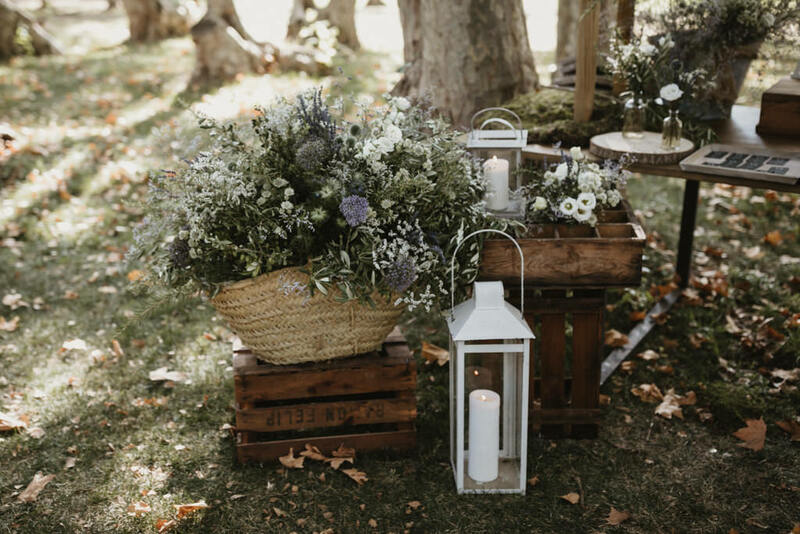 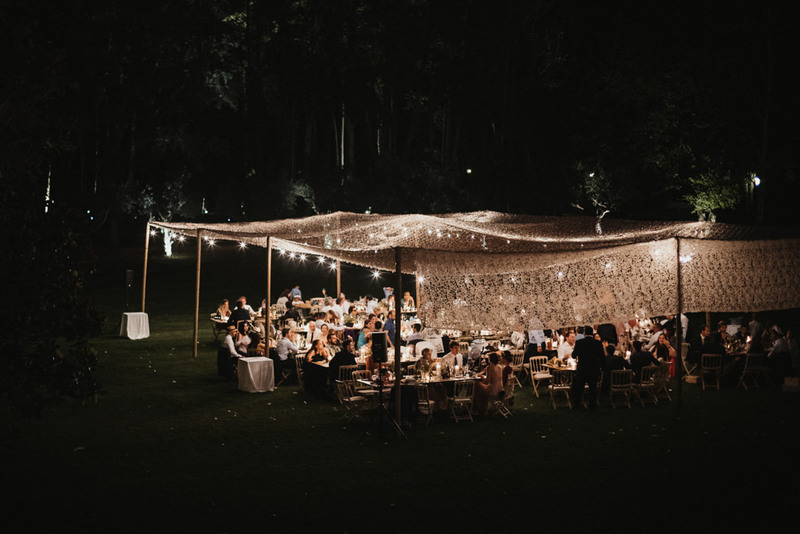 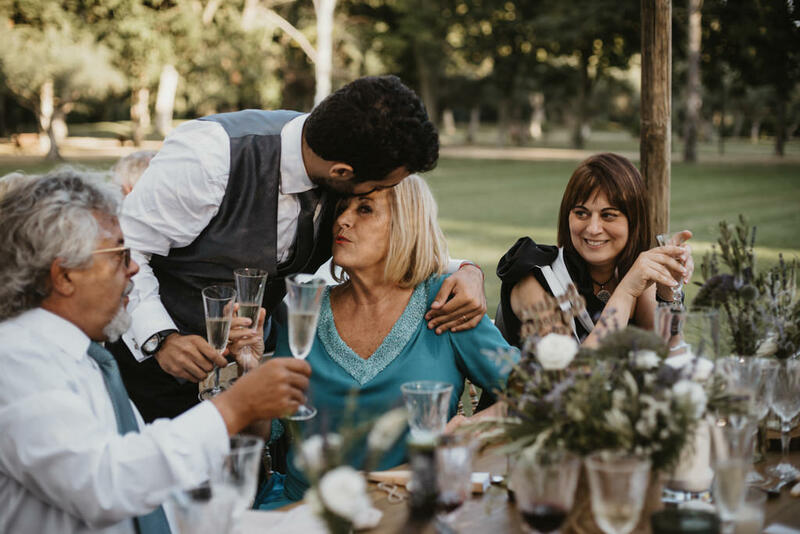 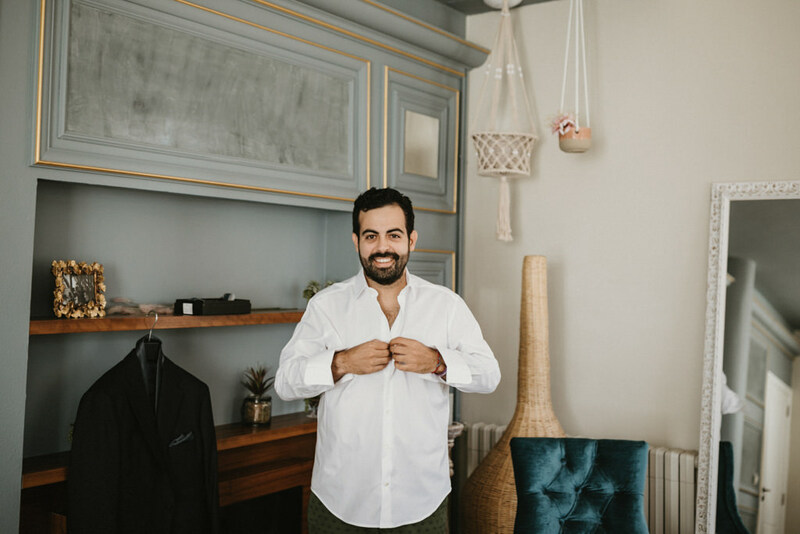 Later, the aperitif and the banquet were organized outdoors, in a beautiful space decorated in mediterranean style by their wedding planner Míriam Escrivà. 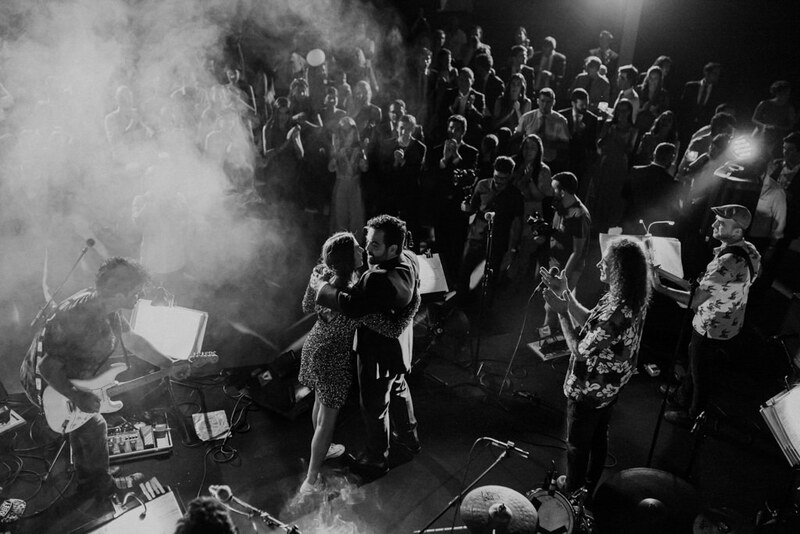 And then the couple left everyone astounded: they came on stage with colorful flares and sang ‘Song 2’ of Blur accompanied by the band. 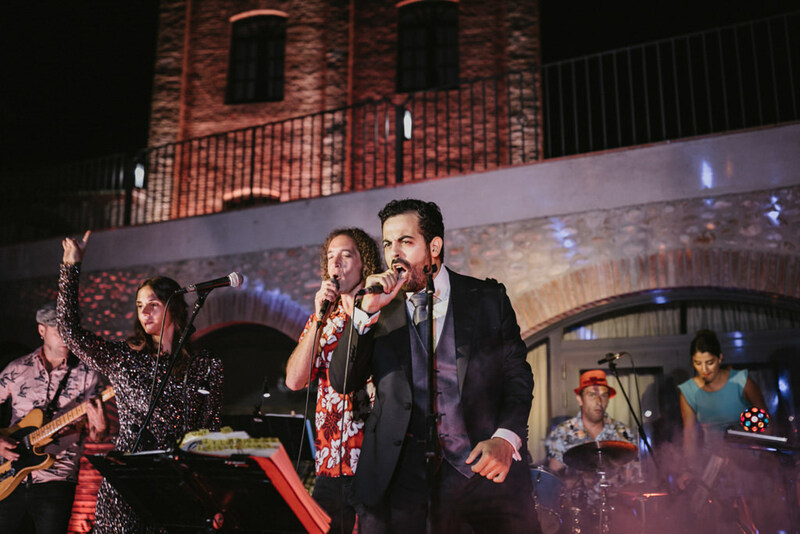 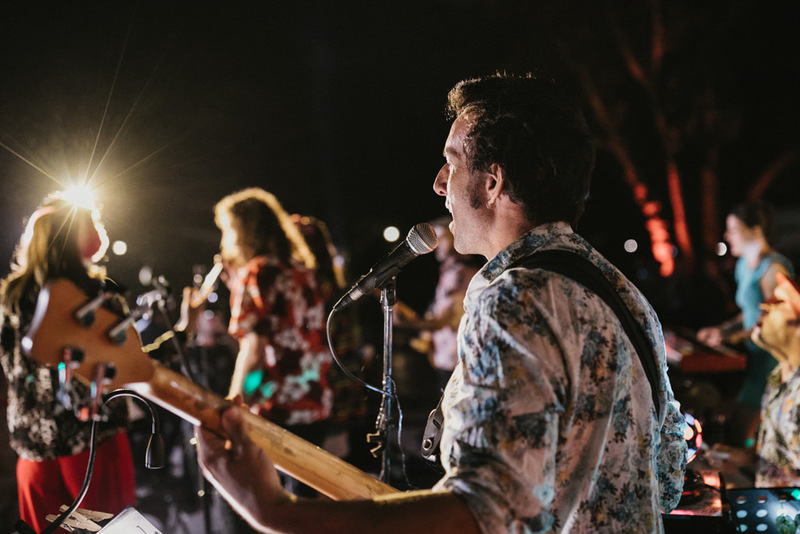 There were live music, karaoke and party all night long. 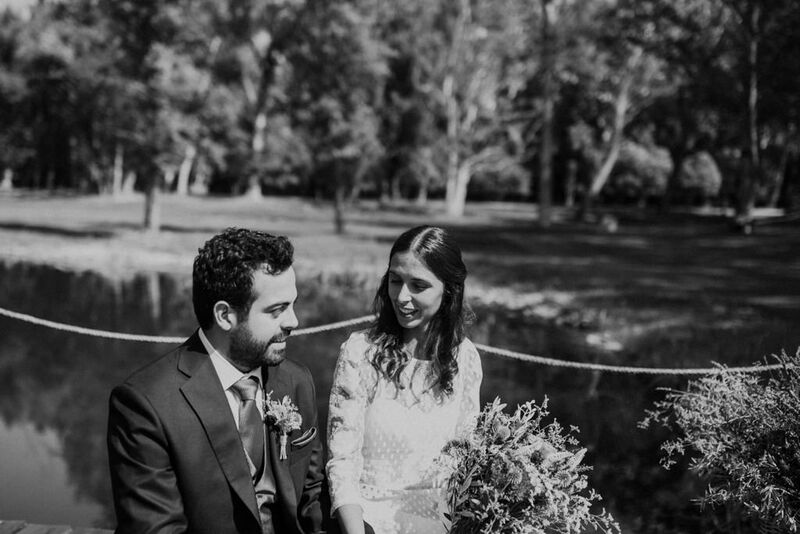 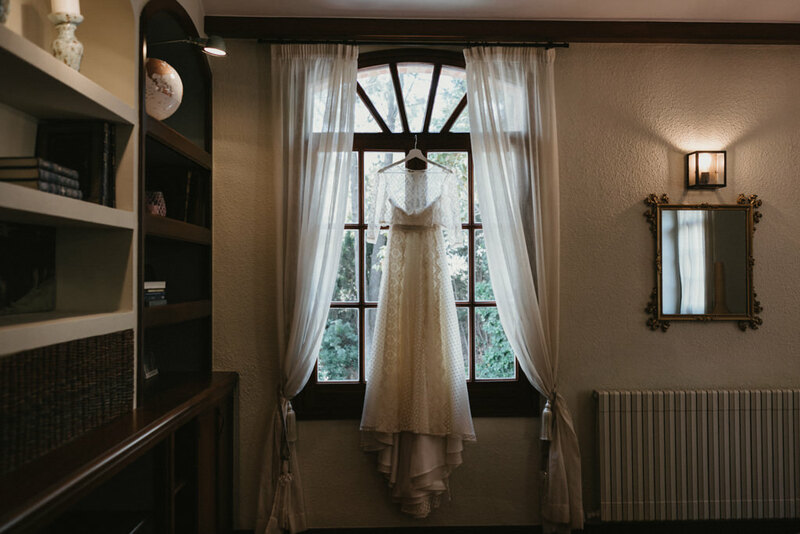 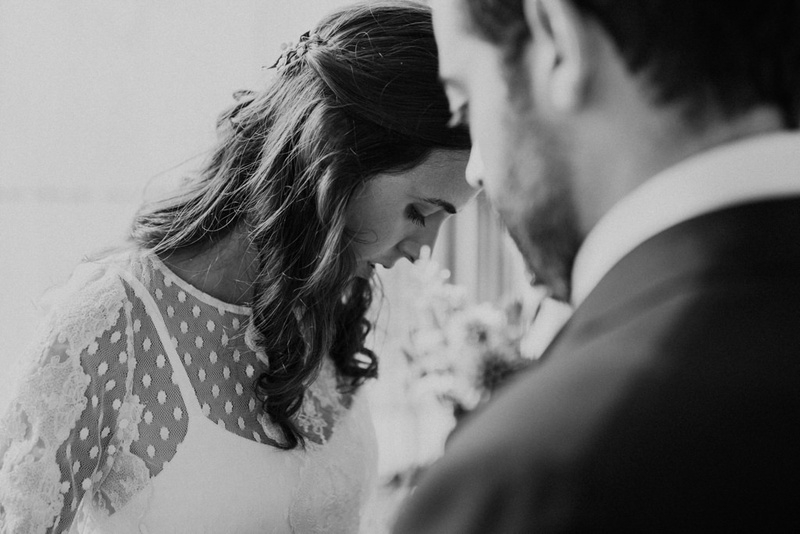 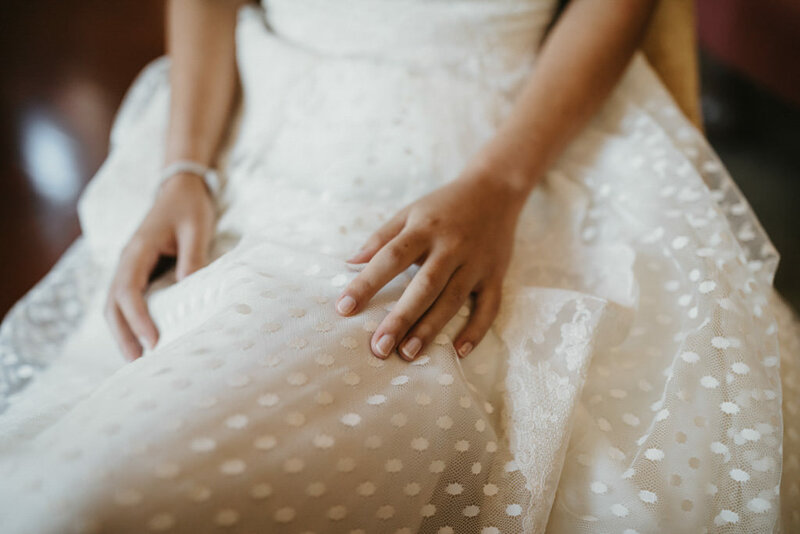 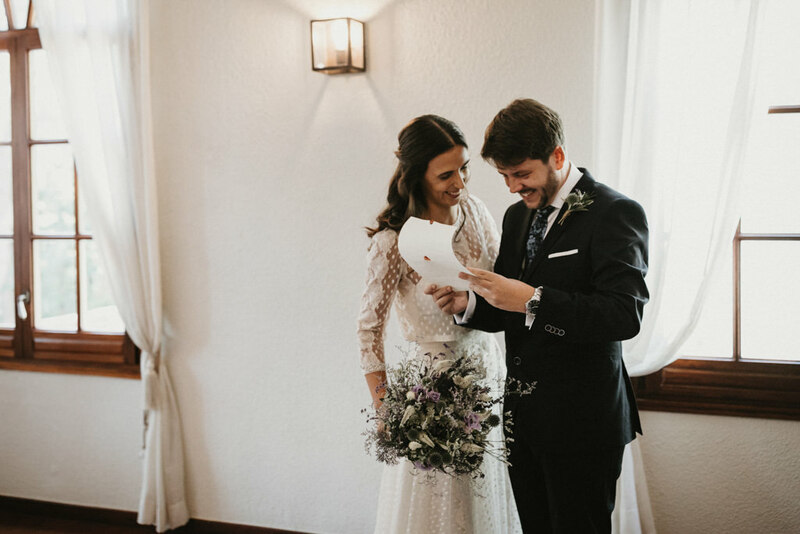 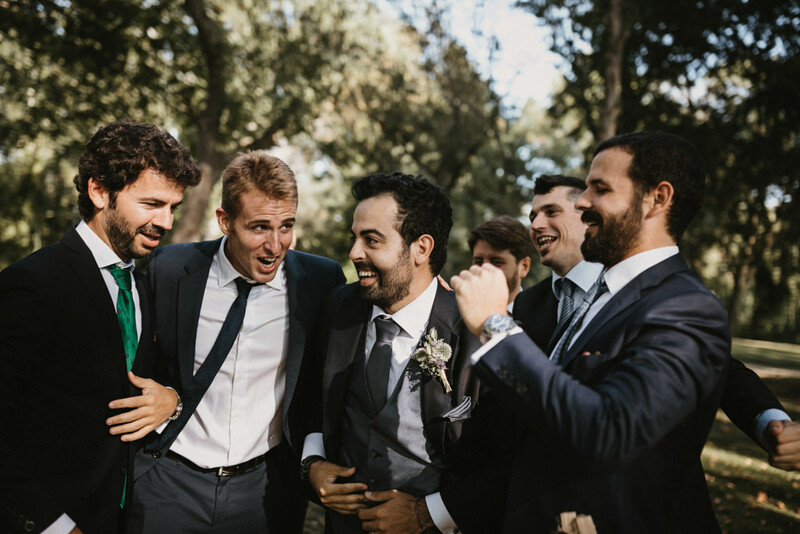 Thank you for giving me such funny and unforgettable moments and photographs of a different wedding in Girona!